Since 2004, RotarySwing.com has helped more than 352,717 (check out the nice stuff they say in these reviews), and Master Rotary Swing Tour Instructor Chuck Quinton has taught and done research on the golf swing for over 19 years. We realize how important golf is to you, whether you play professionally, for bragging rights with your buddies, or just to spend time enjoying the outdoors with friends and family. We also know that everyone struggles to get better. The golf swing's not rocket science, but sometimes it can feel that way. Our philosophy is really quite simple: Provide thorough, yet easy-to-understand golf instruction based on facts rather than fads, gimmicks, opinions or guesswork. Golf Swing Physics: Understanding club plane, swing path, and sequencing is obviously a must. The Body: Your body was designed to move in certain ways to be powerful and efficient or risk injury. The Brain: After learning how to move your body properly, your brain has to ingrain it. 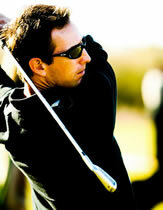 "Chuck Quinton is hands-down the single best golf swing instructor in the industry. It is a biomechanically correct swing and involves indisputable truths"
"My 'Driving accuracy' has gone from 42% to 85% and my 'Greens in regulation' have gone from 22% to 68%. This is all within 2 weeks." He is the author of The Rotary Swing golf instruction book that has sold thousands of copies world wide as well as the instructional DVD series, Swing Plane Made Simple and Short Game Made Simple. His most recent book, the Rotary Swing Tour Certification Manual, Level 1 has been one of the most critically acclaimed golf instruction books ever written. Check out the reviews on Amazon. His Rotary Swing iPhone App is the most highly rated golf instruction app in the iTunes Store, with hundreds of 5 Star ratings! 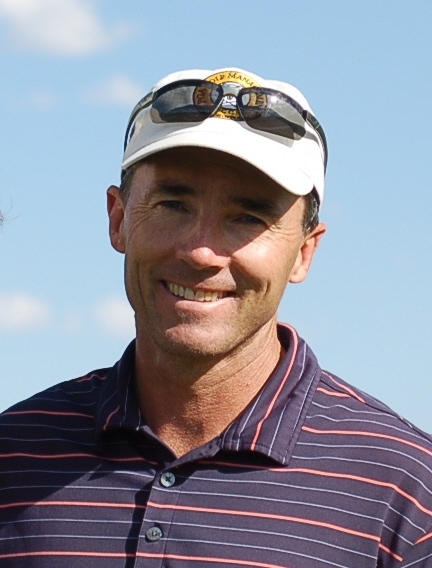 His instructional website, www.RotarySwing.com is one of the largest golf instruction sites on the internet today with thousands of visitors per day and is host to over 300 instructional videos that Quinton has created, as well as over 100 articles he has written. He has been featured as a guest on ESPN Sports Radio numerous times, as well as numerous local radio shows around the country. He has helped thousands of students of all abilities, including players on the PGA Tour, Nationwide Tour, European PGA Tour, LPGA Tour, Futures Tour, Hooters Tour, Gateway Tour, and numerous other mini-tours. It is through his thousands of hours of tireless research, continuing instruction and hard work that this site, the original Rotary Swing and the Rotary Swing Tour (RST) have come about. He continues to work closely with Olympic Sports. Current sport biomechanics projects include the analysis of long and triple jump technique for the US National Track & Field Team, assessment of visual processing, perception and reaction for softball pitchers, cycling biomechanics/aerodynamics, injury mechanisms, and volleyball serve optimization. He also collaborates with local medical organizations in the area of clinical orthopedic biomechanics, injury mechanisms and musculoskeletal injury management. Dr. Broker’s courses at the University of Colorado include Biomechanics, Advanced Human Anatomy, Biomechanics of Musculoskeletal Injury, and Anatomy and Exercise Science: Applications to Golf. The Anatomy and Exercise Science with Applications to Golf course uniquely serves the University’s Professional Golf Management Program. These courses are taught at both the undergraduate and graduate levels. Most recently, Dr. Broker has engaged in research exploring grip pressure patterns in golf, biomechanical and perceptual conflicts in putting, and pedometer- and GPS-based assessment of golf as a means of obtaining 10,000 steps per day. At the time of this writing, Dr. 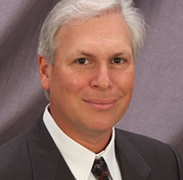 Broker has authored or coauthored over 35 peer reviewed articles and published abstracts. He has written or coauthored 13 book chapters or review articles. 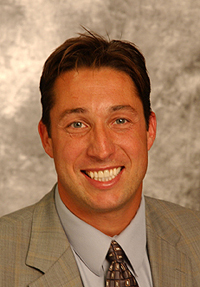 He is also on the Advisory or Science Boards of USA Track & Field, USA Cycling, USA Volleyball, and USA Triathlon. Broker, J. and Ramey, M. (2008). Understanding golf club control through grip pressure measurement. Science and Golf V: Proceedings of the World Scientific Congress of Golf. (D. Cruse and F. Lutz, eds.). E & FN Spon, London. 52-59. Broker, J. and Ramey, M. (2008) A new method for measuring grip force and its distribution during the golf swing. Annual Review of Golf Coaching. 1, 121-134. Sanders, C.M., Broker, J.P., Berning, J.R., and Subudhi, A.W. (2007). The Relationship Between Golf and Walking Benefits: A Pedometer-Based Exercise Assessment. Medicine & Science in Sports & Exercise. 39(5) S384. Smith, L, Broker, J., Nathan, A. (2003). “A Study of Softball Player Swing Speed,” Sports Dynamics Discovery and Application, Edited by A. Subic, P. Trivailo, and F. Alam, RMIT University, Melbourne Australia, pp. 12-17. Yu B., Broker J., Silvester L.J. (2002). A Kinetic Analysis of Discus-Throwing Techniques. Sports Biomechanics 1(1): 25-46. Broker, J.P., Crawley, J.C., and Coughlin, K.(2002) Pedaling mechanics differences across cycling disciplines: observations over 10 years of testing. Medicine and Science in Sports and Exercise 34(5), S90. Bassett, D.R., Kyle, C.R., Passfield, L., Broker, J.P. and Burke, E.R. (1999). Comparing the World hour record in cycling, 1967-1996: a modeling method using empirical data. Medicine and Science in Sports and Exercise 31(11), 1665-1676. Broker, J.P., Kyle, C.R. and Burke, E. R. (1999). Racing cyclist power requirements in the 4000 meter individual and team pursuits. Medicine and Science in Sports and Exercise 31(11), 1677-1685.